We measure progress by the animals and people we help. The economy has forced many families to part with their beloved pets. We are helping both the community and their pets as they try to survive hardship and tragedy. its members uprooted. After many months at our shelter, Charlie has finally found a new family to call his own. CHANCE: It was too much tragedy to bear. One of Chance�s owners passed away. The other faced eviction when the house went into foreclosure. A man and his cherished pet had to say a tearful goodbye, both grateful we welcomed Chance into our shelter. Through our rescue efforts and spay/neuter assistance, we are decreasing the numbers of stray animals on the streets. Our shelter reduces the burden on municipal shelters, thereby saving taxpayers considerable expense for animal control. We regularly take in animals that other shelters cannot keep. 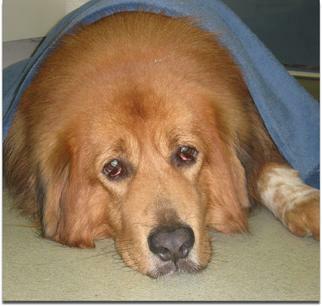 We provide rehabilitative care and good homes for these pets, no matter how much it costs and how long it takes. Our adoptions enhance human health. It has been proven that there are physical and emotional benefits to having a pet. Our shelter is unique in the sense that we promote hands-on interaction between our animals and the public. Our cats and kittens are not caged. They have spacious accommodations in large cat rooms. People are encouraged to sit and relax with them. We have a visitation room for puppies and dogs. Visitors who cannot have pets, adult daycare groups, and mental health outpatients experience the calming effects of stroking and loving an animal. DAN: Sometimes, measuring success can be very simple. While most of the animals we save are extremely thin, Dan is an exception. Before going on a diet, he weighed 25 lbs! 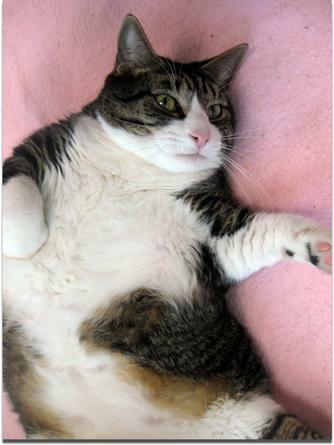 We can tell you about all our successes, but to a contented cat, �success� is just a good belly rub!